Spring cleaning calls for extreme time, dedication, labor and attention to detail! 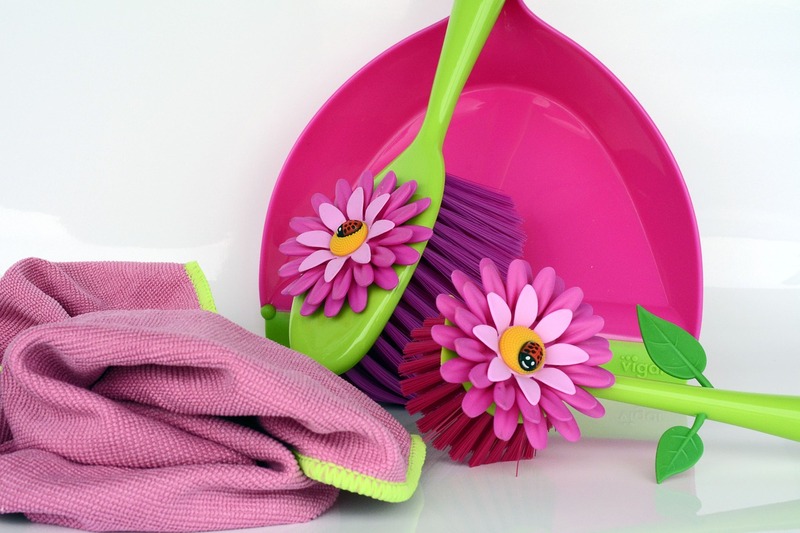 Here are 5 quick and easy steps to help you tackle the task and have a clean home in minimal time! Dusting: A long-handled duster and a couple of microfiber cloths are perfect for this chore. To optimize the clean and your time, start at the top in every room. Dust the ceiling, light fixtures, ceiling fans, and walls. Air vents, switch plates, window sills, and doors. Open shelves? Remove everything and dust. Dust the objects or books with a dry microfiber cloth before replacing them on the shelves. Once you’ve finished dusting down the walls, move onto baseboards. Dust is now on the floor, where you can vacuum it up! Draperies, Curtains, and Blinds: Now is the time to take down all of your draperies and curtains for washing or cleaning. For best results, follow the manufacturer’s directions. Blinds and shades can be cleaned without removing. Wood Blinds; DO NOT USE liquid, they may warp or discolor! Wipe down well with a dry microfiber or lint-free cloth, reverse the slats and wipe them from the other side. Pleated Shades; require a good sweep with a vacuum cleaner attachment. Stains? Try a dry sponge! Windows: If you’ve taken down the drapes for cleaning, this chore is a no-brainer. For tough dirt, grease, or dried paint; try a nylon scrub pad or a sharp razor blade. Adding ½ cup of ammonia to the water will help remove grease. Start with a thorough vacuuming. Shake out the throw rugs and doormats. If they’re washable, run them through your machine on the gentle cycle. Dry on low, or let them air dry. Rent a rug cleaning machine for wall-to-wall carpeting. Cabinets and Drawers: Close the cabinets and drawers, and the mess disappears – at least once a year, do yourself a favour and deep clean! Remove anything that’s not being used regularly. Throw away expired medicines and prescriptions, empty bottles of rarely used items. Wash down the cabinets and drawers, inside and out, and reorganize the contents. Calgary, Clean House, Home cleaning. Bookmark.